That’s me! 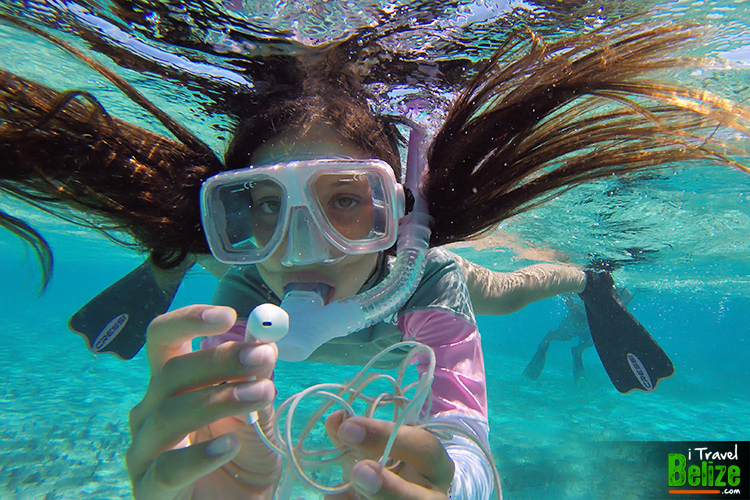 I snorkeled the Belize Barrier Reef from North to South! The reef is huge and even after a week I didn’t get to see everything in our unique marine environment. 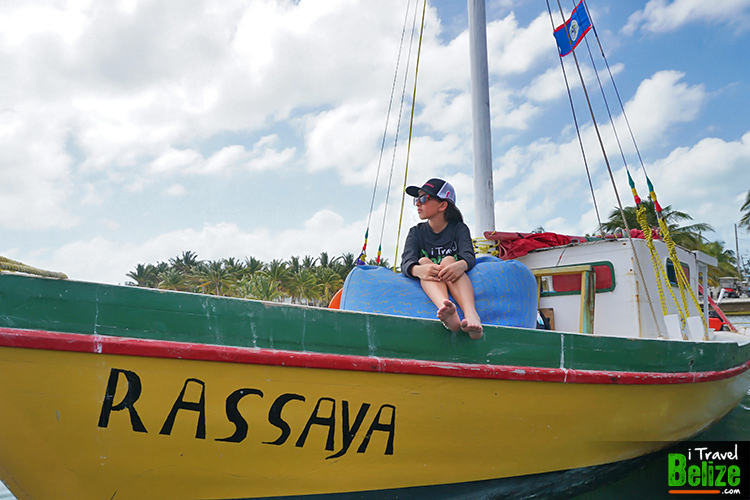 The reason I went on this adventure was, because I want to be able to defend the reef from oil exploration. To defend something we have to learn about it first, so that’s what this was all about. I didn’t just snorkel, I had the best boat captain who also gave me marine biology classes on our sailboat. Now I know how so many things work under the sea and I won’t stop learning every chance I get. 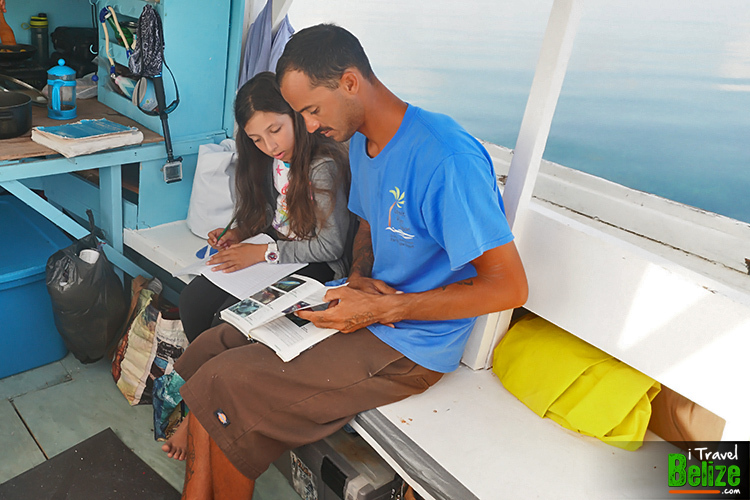 My biggest mission is to teach people how important the Belize Barrier Reef is not only to Belize but the world. 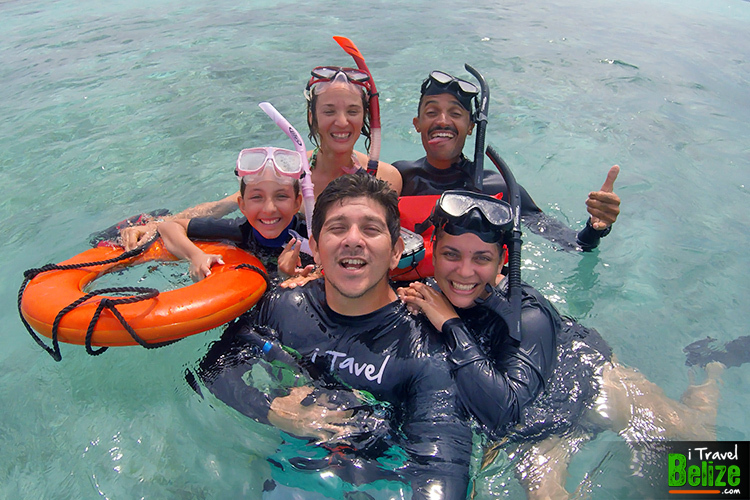 We snorkeled in front of San Pedro first and found over 21 species of marine life in under an hour! 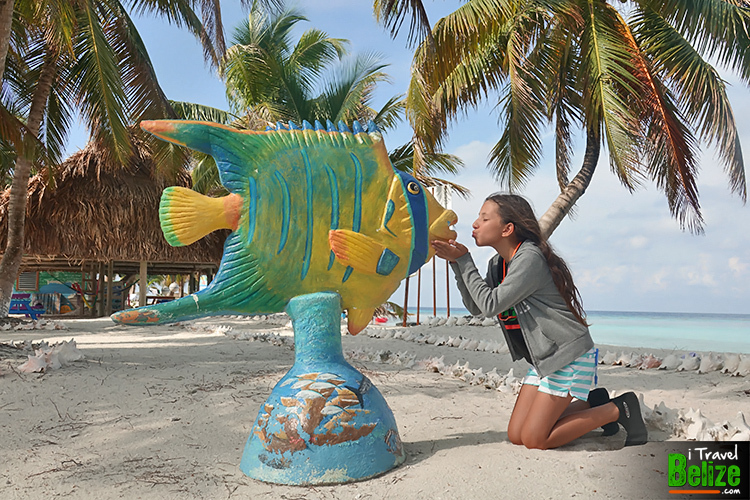 On the second day we snorkeled in front of Caye Caulker and Caye Chapel; I loved it so much that we were a little late making it to Saint Georges Caye. It was too rough to stay on the boat that night so our brave Captain MJ had to kayak each of us in the dark for a mile to shore at night! We met a sweet old man who gave us a place to stay and in the morning we found the Saint Georges Caye Hotel and had breakfast. Every day I saw something new and it was not always marine life. There was a new type of trash in the water every day too. One day I found headphones with algae on them and knew they must have been there for a while. I cleaned up as much as I could, but it was impossible to get all the trash out of the water. I had so many first times on our adventure. My first time sleeping on a boat, my first time seeing a shooting star, my first time sleeping in a hammock outdoors, my first time seeing a dolphin in the wild and so much more! 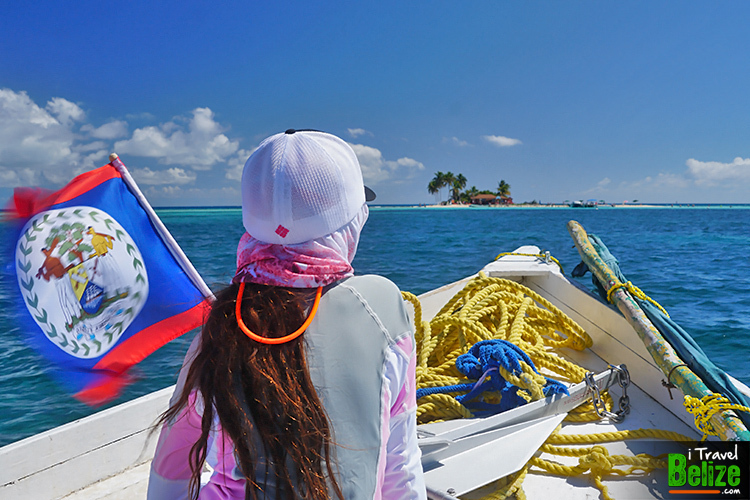 My favorite was my first time snorkeling the end of the reef around Seal Caye! Captain MJ was my teacher too! On our way back from Seal Caye, the sea was so rough that our boat rocked and water was coming into it. I was scared enough to put on my life jacket, but I knew we were safe with Captain MJ. 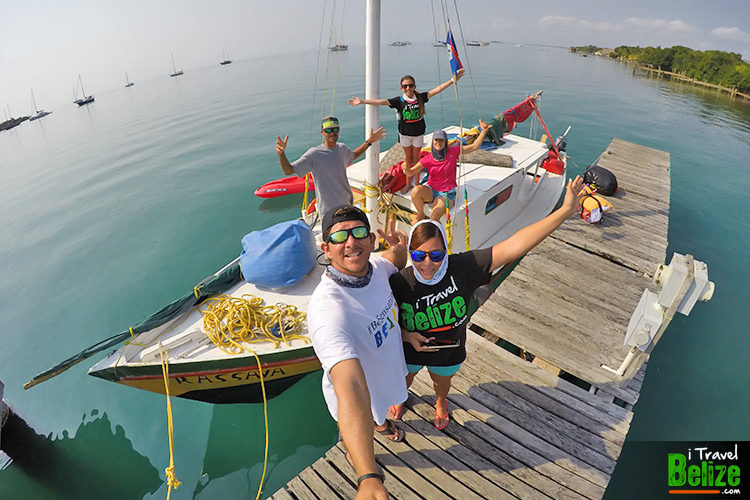 On the seventh day we decided to stay in Placencia and let him sail the boat back to San Pedro, because there was a chance that the boat would not make it back in time for me to get to school on Monday. I really missed my teacher and my classmates. I was so happy to see my family and so many friends at the airport cheering for me when I came home. Even though everyone thinks I’m a warrior, being on the Barrier Reef for a week was not a sacrifice. I am so blessed to have had the chance to experience everything that I did. The reef is only a small part of our marine environment. There is a lot going on in, over and around the sea that we need to protect. 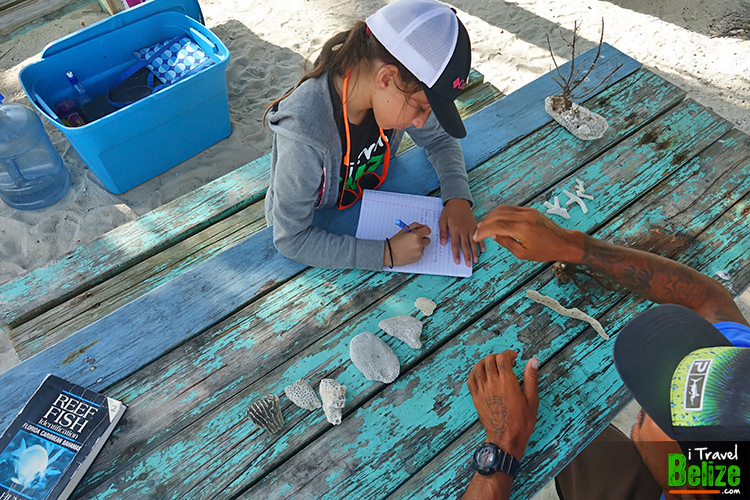 Dolphins, seagulls, mangroves, crabs, sharks, fish… you name it… it all matters! We need to be more conscious of our trash and know that when it ends up in the sea it hurts so many species. Did you know that barracuda lets the gobies inside it’s mouth to clean it, but never eats them? It knows it depends on it so it will not hurt it. Just like that, we have to protect the creatures of the sea and our barrier reef, because we depend so much on it. We need to stand up and say NO to offshore oil exploration and oil drilling because there is too much to lose in our waters. We depend on the sea for food, tourism, jobs and it’s pretty just to look at! Imagine it all black and yucky after an oil spill. That is not OUR BELIZE! That’s why I took some time to write the Prime Minister a letter when I got home. (Click here to see me reading that letter.) World Wildlife Fund invited me to deliver my letter along with thousands more from so many of you online. We are the keepers of a World Heritage Site. Let’s be proud of that! If you haven’t, please take the time to make your mark by sending a letter to the Prime Minister. A couple clicks is all it takes. Don’t worry … they don’t make you write it in your own words! Here’s a short clip of my adventure. 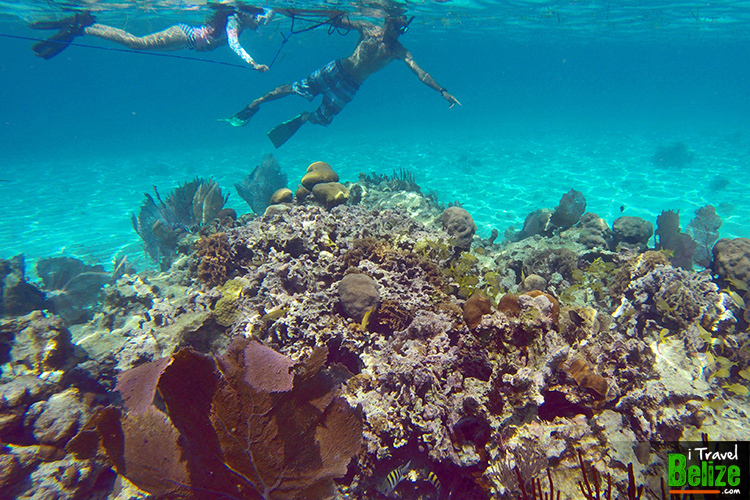 I hope you enjoy it as much as I enjoyed our Belize Barrier Reef! Thank you for all the support. Our team of five. I love them so much for making this possible fore me! Madi you are a hero and a role model for all of us who love your beloved country! We returned recently from our third visit to San Pedro. Thank you for keeping your incredible reef in the limelight and bringing attention to the public about oil drilling in Belize. It can’t happen! You are an incredible ambassador for The Reef and all is occupants. I love your website and everything you and your Family do together. 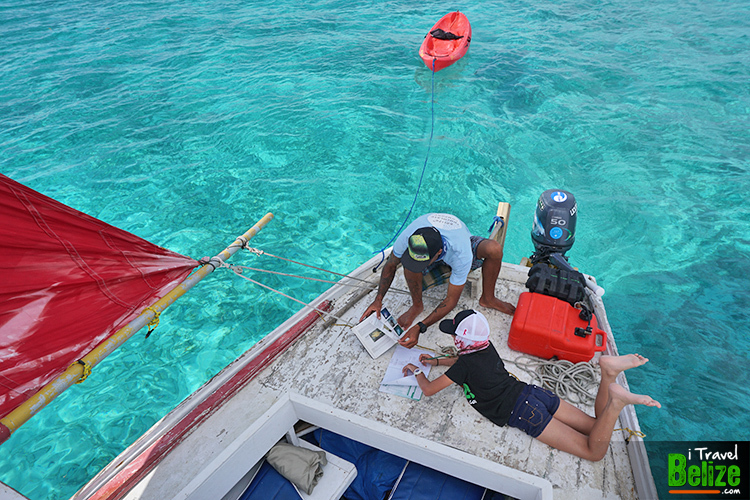 We look forward to our next visit to San Pedro and beyond the reef. Hopefully we will so lucky so see those dolphins. Good luck on your future adventures! I’m so proud of you, you inspire me to do better. Keep being brave for those you don’t speak up for our reef. Good girl. I’m so proud of you from San Francisco! 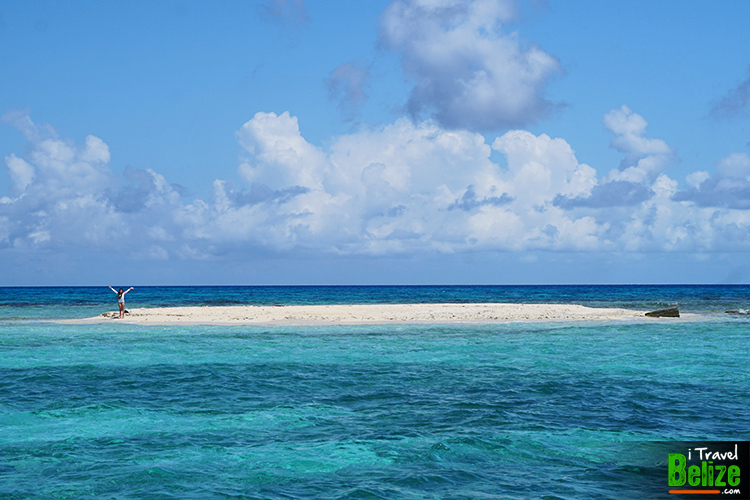 I grew up in Cayo and I loved going to the sea on the weekends. You are making an impact in this world and that is why we are here. Keep on doing it! in Madi, what a fantastic experience for you. This experience will likely mold your opinions of environmental protection for the rest of your life. Belize is such a beautiful place. My husband and I were in Ambergris Caye a couple of years ago and loved it as well as the snorkeling trip we took. We are in the processing of buying property in Sanctuary Belize to retire because we love all it has to offer. It is so inspiring to know that young people such as yourself show an interest in your homeland. Good luck with future learning expeditions. Thank your parents every day for allowing this to be possible. Great job Madi! I am so proud of you! Ever since they started drilling you were getting our class excited! HEY MADI! Teacher Sarah here with my class of 5th Graders at Letourneau Elementary School in Fall River, MA. You are SO lucky that you get to live in beautiful Belize. Keep up the good work. We think you are so awesome. We are inspired to keep the ocean clean!